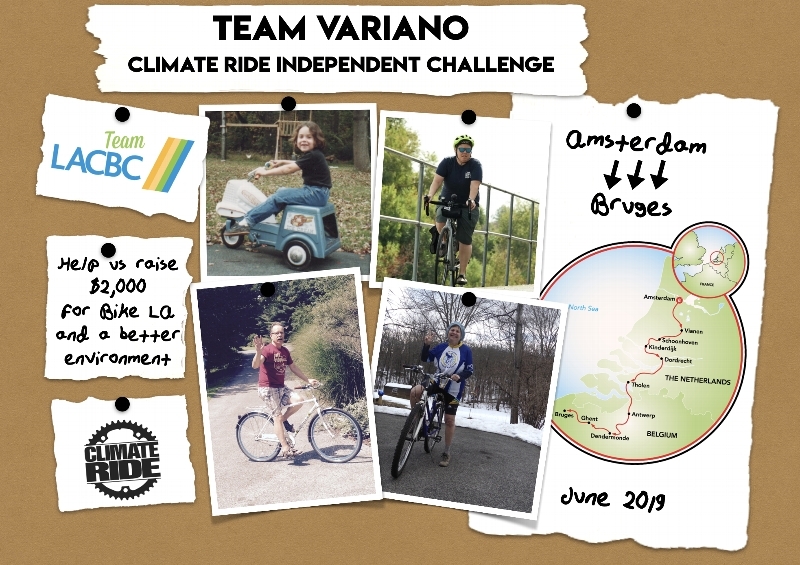 Team Variano is biking from Amsterdam to Bruges to raise money for safer biking in LA and a cleaner environment! This June, Dana, Denyse, and Vinny will be setting out on an adventure from Amsterdam to Bruges, using only 2 wheels (each) and a boat to get them from the Netherlands to Belgium! 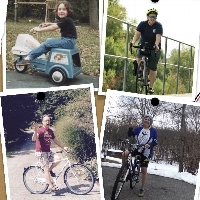 This is all three of Team Variano's first foray into bicycle fundraising, but we've been biking together as a trio for over 30 years, so we're ready for the challenge! Please help us hit our fundraising goal by making a secure online donation today by clicking on the 'Support Me' button. You'll automatically receive an acknowledgment and I will be notified by email of your support. Thank you for helping us push it with Team Variano and Team LACBC! Perks! Did we mention there are perks! ?